Attention to detail matters! Potential guests will notice when you hand them the All Purpose Angle Club Flyer before your next event. This versatile design template has clean lines, a sharp black and white background, and blocks of blue, green, orange and purple. 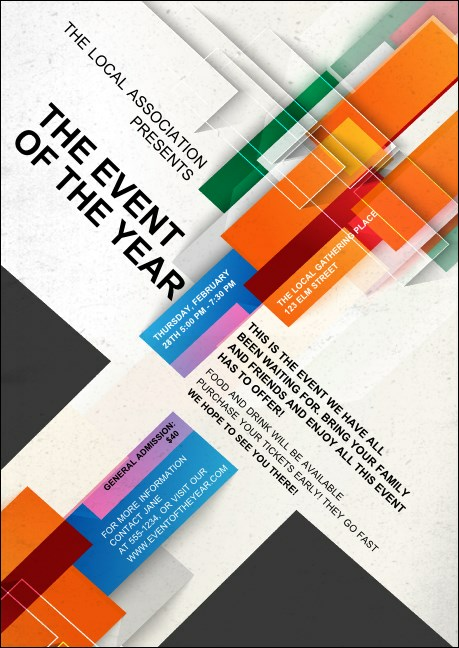 Spread the word about your events with the right club flyer from TicketPrinting.com.